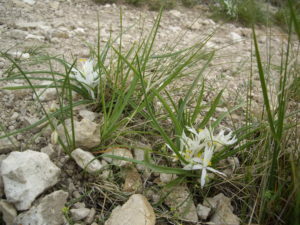 The flower is Leucocrinum montanum, the Star Lily, on the Hogback above Paradise Valley, Park County. We meet on the second Tuesday of the month, November through April, at 7:00 p.m. in Room 108, Plant Bioscience Building, MSU campus (unless otherwise noted). April – August we have monthly plant field trips. Non-members are welcome! More details on workshops and reminders will be shared in monthly emails and on Facebook. 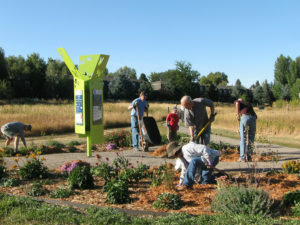 Saturday April 20 — Earth Day Plant Cleanup (Bozeman) 9:00 am. To commemorate Earth Day, we’ll resume our annual combat with spotted knapweed on the Kagy Boulevard roadcut, then move over to the Pollinator Garden in Langohr Park (~11 am) for its spring cleanup. Meet at the roadcut, just east of Kagy & South Church, at 9:00 a.m.; we’ll finish up by noon. Bring gloves, a digger, and hand pruners for the garden. We will be joining other groups for an afternoon Earth Day festival at the Bozeman Public Library at 1 PM. Info: Gretchen Rupp <beesgrmt@gmail.com> 586-8363. 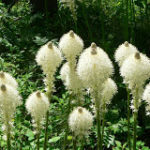 Sunday May 19 — Wild About Wildflowers (Belgrade) 10 am – 2 pm. Join Ryan Quire, botanist for Confluence Consulting, for a stroll through the lush spring wildflower display in the sagebrush steppe and forested slopes of the Bridger Mountains. The North Cottonwood trail offers a diversity of spring bloomers along with spectacular views of the Tobacco Root, Gallatin, and Bridger Mountain Ranges. The approximately 4-mile loop hike is moderately strenuous, starting at 5600 feet and climbing to an elevation of 7,000 feet. There will be a small creek crossing along the trail that will be approximately 1-foot deep and may soak your hiking boots. To avoid wet feet for the remainder of the hike, we recommend folks bring a pair of sandals, a walking stick, an extra pair of socks, or whatever other attire is preferred for this small creek crossing. Meet at the north end of the old K-mart parking lot at 10:00 am (across Oak St from Bozeman Walmart) to carpool, or meet Ryan at the North Cottonwood Trailhead around 10:15 am. Bring a lunch and we’ll snack amongst the wildflowers! Info: Ryan, rquire@confluenceinc.com 502-330-8433. 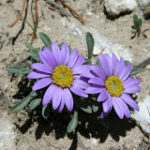 Saturday July 13 — An Intro to Habitat Types & Plant Communities of Montana’s High Plains (Three Forks) 9:00 am. Join MSU plant ecologist Tad Weaver in a visit to the Headwaters State Park vicinity, an area representative of Montana’s High Plains. We will see & compare plant communities/vegetation types with respect to composition, processes, and environmental differences (water, temps, soil, & disturbance). We will observe plant communities including shortgrass prairie, greasewood, mountain mahogany, and cottonwood. During short walks at a few (~5) sites we will observe dominant species, and environmental and successional relationships. We can discuss system dynamics and management, and identify lesser species. The tour will take much of the day (bring lunch), especially for any participants who want to extend it to the nearby Madison Buffalo Jump. Meet at Museum of the Rockies parking lot at 9:00 am for carpooling. Info: Tad Weaver tweaver@montana.edu 406.586-3270, call only near 8 am. Wed July 17 — Tour of the Cannery District Landscape (Bozeman) 6:00 pm. Linda Iverson, landscape designer for the Cannery, will walk us through areas of the landscape that were seeded with native grasses and forbs and look at plantings of natives in beds and bioswales. We will meet in front of the Daily Coffee Bar at Oak and Rouse at 6 pm. After the tour we are planning to have dinner at one of the restaurants in the Cannery District. Info: Linda Iverson, lilandscape@mtintouch.net 406.930.1682. Sat and/or Sunday, July 20-21 — Centennial Valley Explorations (Lakeview). In preparation for hosting the 2020 MNPS Annual Meeting, we will be camping and exploring in the Centennial Valley. Those who might lead a field trip during next year’s event are especially encouraged to take advantage of this opportunity to scout a trip. Join us for all or part of this. For field trips, we will meet at Red Rocks Lake National Wildlife Refuge headquarters at 9:30 AM on both July 20 and July 21 for carpooling. Camping is on your own. Some members plan to camp at Red Rocks Lakes NWR. There is also lodging/camping at Elk Lake Resort. Be prepared for the remoteness of the valley: fill your vehicle’s fuel tank before leaving the paved highways – it is nearly 50 miles to the nearest gas station. Dirt and gravel roads are rough and flat tires are not uncommon. Drive slowly and carry a good spare tire. Info: Beth Madden bethmadden64@gmail.com 406.224.1012. 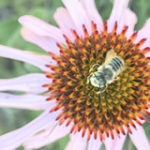 The Valley Flowers Chapter maintains a native-plant garden in central Bozeman, to demonstrate the principles of gardening to benefit pollinators. Here is a fact sheet about the garden. On a May day a while back, 9 curious folk joined Jeff Copeland to see what was in bloom in the foothills east of Bozeman. Quite a lot, as it turned out – Denise Montgomery compiled a list of 48 bloomers, nearly all of which the collective brain was able to identify to species. Chapter members look forward to these field trips, and newcomers are very welcome!